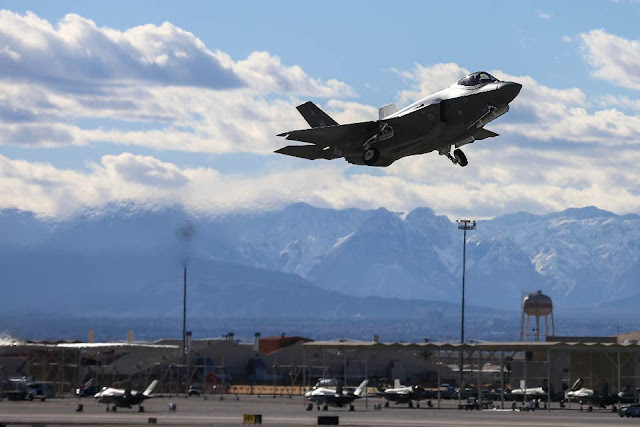 The world's premier air combat exercise is underway in Nevada, with the Royal Air Force (RAF) playing a major role alongside American and Australian counterparts. Set at Nellis Air Force Base, Red Flag pits ‘Blue’ coalition forces against hostile ‘Red Force’ aggressors, mirroring real-life threats in air-to-air, air-to-ground, space and cyber warfare. Typhoons, from 6 Squadron, RAF Lossiemouth, are operating in a swing-role capacity, fighting their way into hostile airspace, launching precision strikes on ground targets and fighting their way out again. The Typhoons have also worked with the US Air Force (USAF) F-35A Lightning II for the first time, and with USAF F-22 Raptors – hugely rewarding exposure to 5thGeneration aircraft for RAF crews ahead of the F-35B's introduction into the RAF’s combat inventory in 2018. Air Control Centre are supporting RAF assets at Red Flag, helping control air battles from the ground and conducting their ‘taxy to target’ capability: taking aircraft taxying at Nellis and guiding them through to dropping bombs on target. Voyager, the RAF’s ‘petrol station in the sky’, is taking part for the first time to provide a key air-to-air refuelling capability during the exercise, while a Sentinel and Rivet Joint are gathering intelligence and other mission-critical information. Defence Secretary Sir Michael Fallon said: “The RAF is playing a major role alongside our greatest ally in the world’s leading aerial combat training exercise. “Britain’s pilots and aircrews will receive unparalleled training and an opportunity to sharpen the combat skills they are demonstrating every day in the fight against Daesh. Group Captain Graham Pemberton, RAF Detachment Commander for the exercise, said: “Red Flag replicates truly challenging, high-end warfare – from realistic aerial combat to emerging cyber and space threats. It’s as close as we can get to the real thing. “Testing ourselves against highly capable enemy aggressors is hugely beneficial and improves and readies our personnel – from pilots to those in crucial support roles – for real-world operations. Wing Commander Billy Cooper, whose 6 Squadron Typhoons are taking part in Red Flag, said: “We flew eight Typhoons here from RAF Lossiemouth to take part with our US and Australian counterparts. 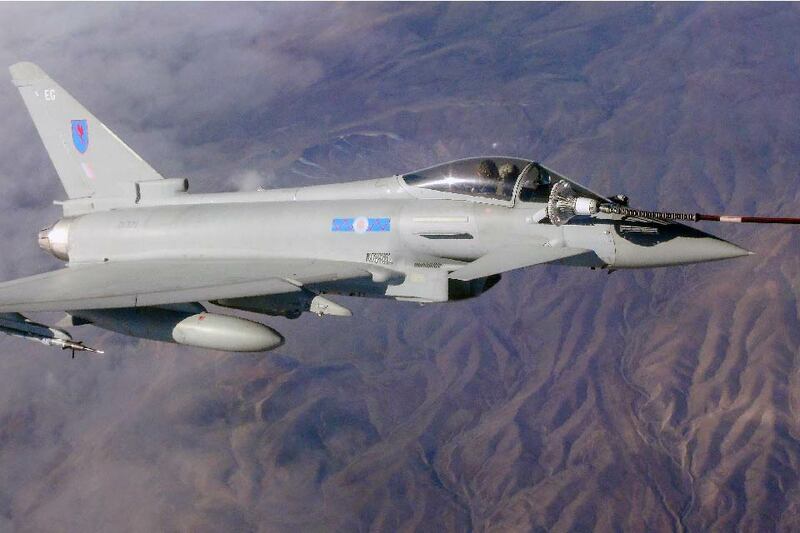 “One of our UK day jobs is protecting sovereign airspace through Quick Reaction Alert, but in Nevada we’ve been air-to-air fighting and carrying out strike missions. Red Flag’s live element takes place over the US Air Force’s premier military training area in Nevada; over 15,000 square miles of airspace and 2.9 million acres of land – an impossible scale to achieve in Europe. The exercise runs until early February and marks the start of three months of RAF Typhoon activity in the US, with 6 Squadron participating in Red Flag, 2 Squadron taking over for Exercise Green Flag and 1 Squadron taking part in a tri-lateral exercise with the US and France.